Services | Opperman & Son Inc.
Our New Parts Department consists of over $1,000,000 in inventory. It is widely known that if you cannot find your part anywhere else, you can find it at Opperman & Son. We would like to invite you to make us your first call and save yourself a lot of time and effort. We are factory direct with our suppliers; which allows us to be extremely competitive on price. 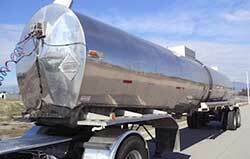 As a Target Customer for Freightliner we can offer free freight and quick turn around on orders. Our 10,000 square foot showroom consists of more lighting and chrome than any other dealer in Northern California. With over 72+ combined years of heavy duty parts experience, we are confident you will find our new parts staff will exceed your expectations. 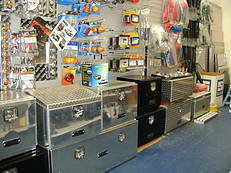 Our Used Parts Department consists of over 10 acres of quality used parts. No need to pay full price for a new part, when you can pay Â½ the cost of new for a quality used part that is backed by our 100% satisfaction guarantee. If the part does not work for you and it has not been modified or damaged, simply return the part for exchange or a refund of the purchase price. Our Used Parts Department also consists of a 5,000 square foot warehouse of checked over engines, transmissions and differentials. Our checked over power units are backed by a 30 day warranty. In addition to our checked over power units, we also offer good take-outs and cores. As a certified scrap yard for the California Air Resources Board (CARB), our salvage yard has one of the largest inventories of late and early model equipment in Northern California. If you are interested in a bid for your salvage, have a grant truck that needs to be scrapped or would like more information about our quality used parts please contact Brian Opperman at (707) 433-4421. Our Body Repair and Paint Shop is superior to no other when it comes to making your damaged vehicle look like new again. As a 30+ year veteran of Opperman & Son, Randy, our Shop Manager, knows what our customers are looking for and has never disappointed them. Our Body Repair and Paint Shop is widely known for its perfectionism; but, we also know how to scale things back when perfectionism is not what the customer is looking for. 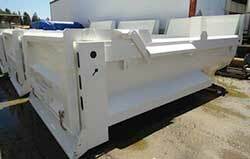 Access to our salvage yard for parts at Â½ the price of new allows our Body Shop to win the bid almost every time. From glass replacement to complete paint and collision needs, Opperman & Son can do it all. Call Randy today for a free on-site estimate at (707) 433-4421. 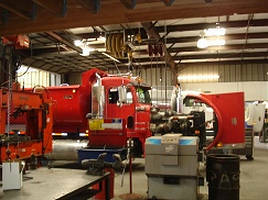 Our Truck Repair Department is a full service repair facility. From complete engine overhauls to shortening/lengthening framework to 90 day bit inspections, we are confident that you will be completely satisfied with our quality work and professionalism. 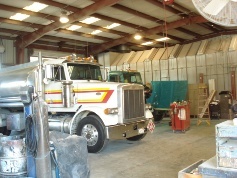 Fire Apparatus repair is one of our specialties. As a former builder of Fire Engines, our experience and knowledge of fire apparatus is superior to no other in Northern California. We are factory direct with most of our suppliers which allows us to keep our parts pricing low. Opperman & Son is a California state approved vendor for repairing OES (Office of Emergency Services) equipment. We understand the sense of urgency when working on fire apparatus. Minimal downtime and low prices is our committment to you. Schedule your yearly inspection and pump test today with Mark Silva at (707) 433-4421. 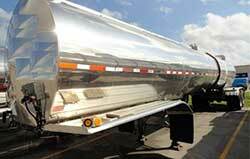 Our Welding Shop is one of a few in Northern California that is â€œRâ€ stamp certified to weld on fuel tankers. 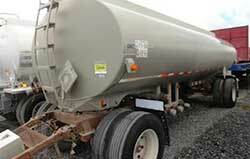 We specialize in the maintenance and repair of on and off road fuel trucks. 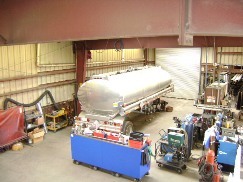 Our technicians have extensive training to weld aluminum, mild steel and stainless steel. Our shop maintains a break which allows us to form material into custom boxes. From minor modifications to major re-mounts our welding shop can handle the task. We are experienced with working on pump and meter systems as well.